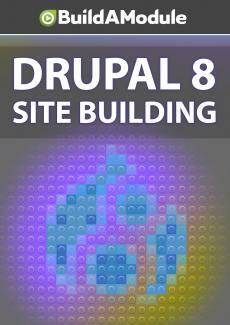 Solutions for chapter 15 of "Drupal 8 Site Building"
We're happy to supply answers ... for a price. And here are the answers to the quiz. Question one, "Drupal comes bundled with which languages "already downloaded?" And the answer is A, English. Any other language, you have to download separately, or when you install Drupal, you can select a different language and that language will be installed during the installation process. Question two, "You have to add a new language in order "to translate the interface, true or false?" The answer is false. You can use the language modules to translate the interface into whatever language you'd like manually. We use that feature to override one bit of English text with another bit. Question three, "When will translated content show "a translated version? "Check all that apply. " And the answers are A, B, and C. You can visit the translated URL, you can change your default language in your profile, or you can visit the original URL with a language prefix, like "es" for Spanish. Question four, "You can set different default languages "for different content types, true or false?" The answer is true. Though this is something that you would have had to inferred from the video, we didn't talk about it explicitly, it is a good thing to know, though. And finally, question five, "Which of the following can "be translated? "Check all that apply.
" And the answer is, all of them. Again, we didn't talk about this explicitly, but you can deduce this from the interfaces that we've seen. Alright, let's check out the solutions to our challenges. So, challenge one was, "Enable french "interface translations. " Okay, so we're going to need to download and install a new language. I'm going to hop over to Languages, and let's click Add Language. We'll select French, and Add Language. It will take a minute. So, now, if we wanted to see our site in French, let's go to Detection and Selection, and figure out what the prefix is for French. Okay, Fr. So if we put in Fr here, in the URL, we'd get the page in French. C'est très bon.